Elfie has been busy this week! Saturday Elfie was keeping warm above our fireplace in the kitchen. He always sits in this wreath at least once a year! :) He must like it! Sunday, Hunter and Archer were so excited to find Elfie in their room. What are Hunter's underwear doing in the tree??? Elfie!!?! Looking out the window above the stairs on Monday. Tuesday Elfie was stunting!!!! Maggie was a little upset that he chose Anna to stunt with, but we think he might be CCA material! Rose?? Tuesday Hunter came home with a note from his elf, Cupcake, at school!! So proud of this sweet boy!! Thursday, Elfie was adoring baby Jesus! The real reason of Christmas! Today the kids were so, so very excited!!! 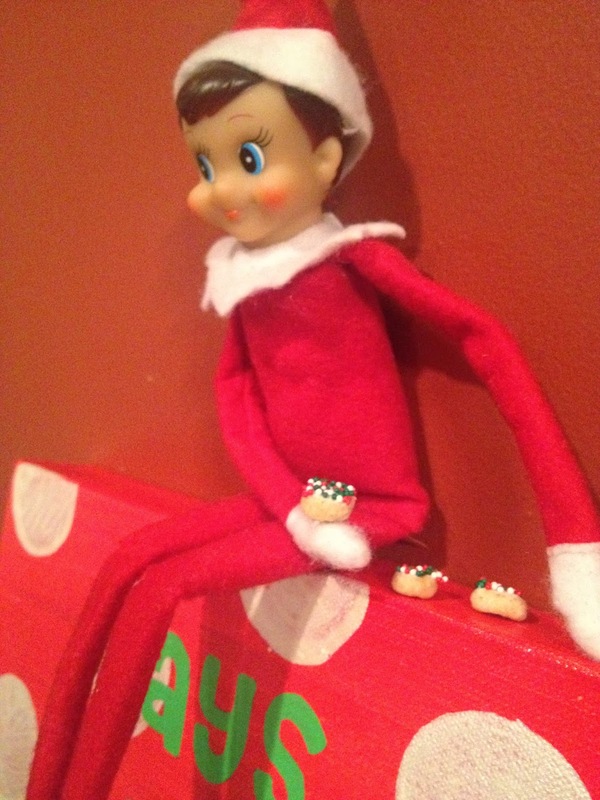 Elfie brought them donuts with red, green and white sprinkles!! And he had a few mini donuts for himself, too! They were so excited about the donuts!!! Can you guess who ate the most??? That would be Archer!!!! :) He loved it! Here are few other Christmasy things we have been doing this week! Saturday, Maggie had her Christmas dance performance at the YMCA. To see her dance click here. We have done lots of Christmas painting. The kids love this! Honey found these at Michaels, I think! So fun! 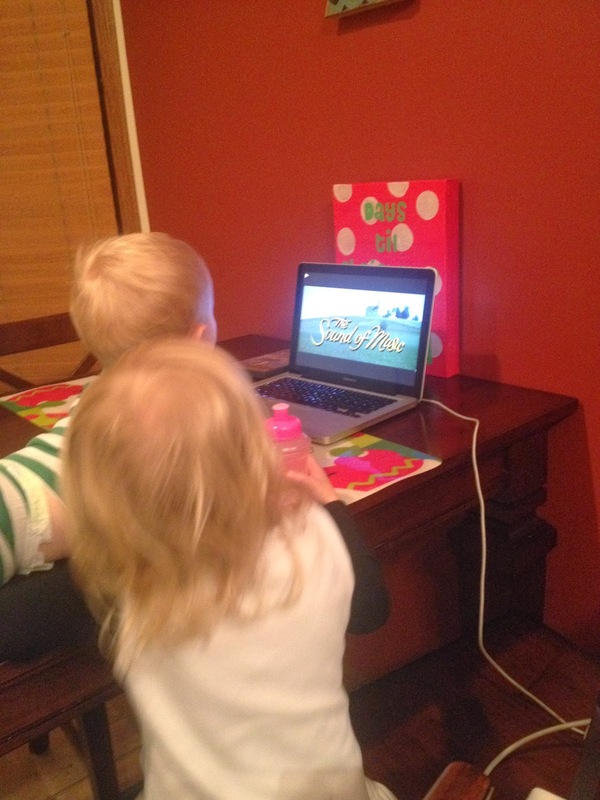 We watched a little bit of the Sound of Music while making Christmas cookies! Everyone was singing along! 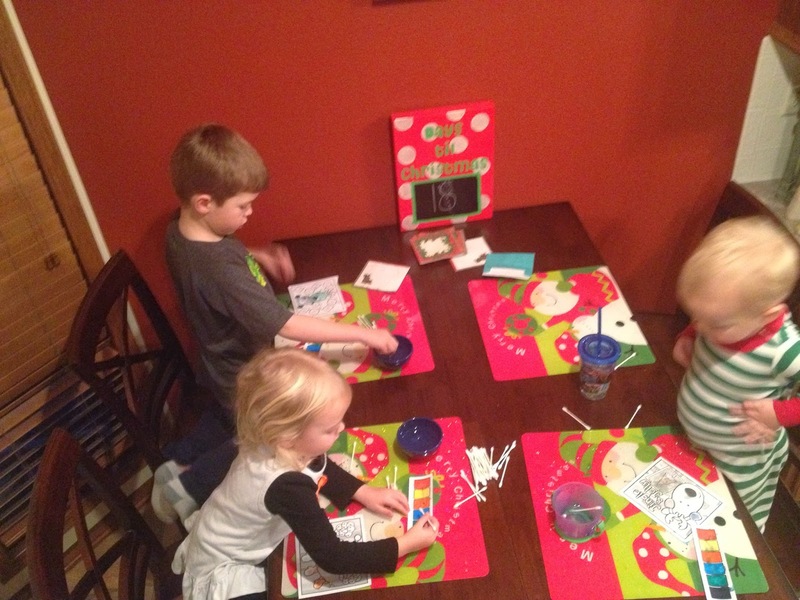 More cookies and painting pictures! 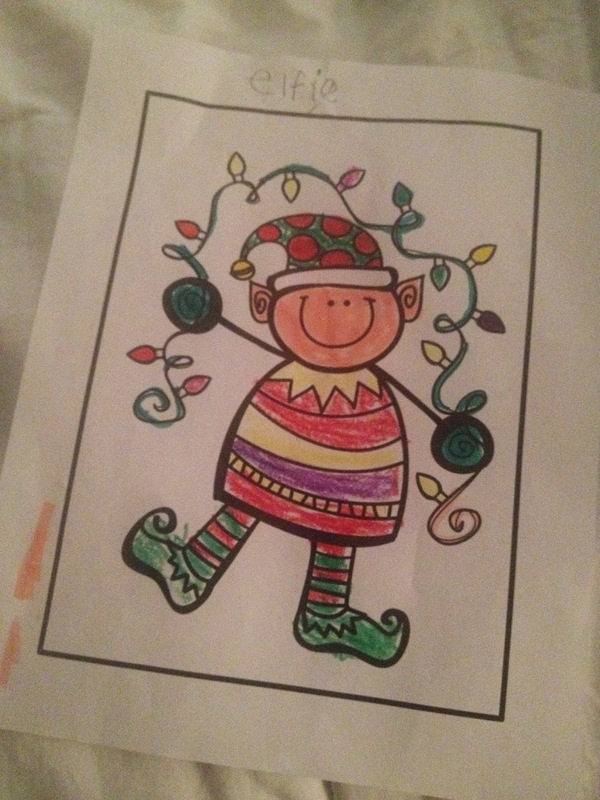 Hunter colored this elf picture for Elfie! He was so proud! We wrote our letters to Santa! Maggie and Archer baked Christmas cookies in Mag's kitchen while I did a workout video. And we built snowmen last night! Well... we made an Olaf any way! Have you seen Frozen yet? Go watch it! It's so cute! Tonight our advent activity says inside campout! We are setting up the teepee, making smores and Ben and I are hoping everyone sleeps all night in the teepee! :) We will see how it goes! It's going to be fun! !